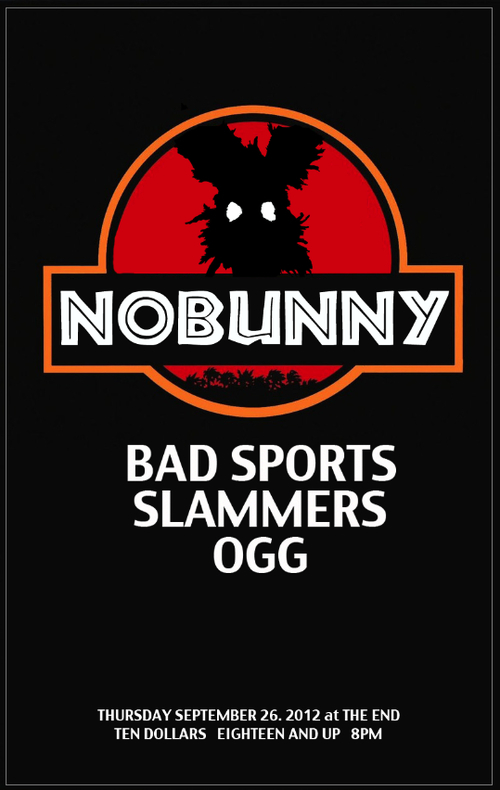 A quick reminder to those who can’t make the trip to Memphis this weekend for GonerFest 9 – you can catch Nobunny and Bad Sports tonight over at The End. They’re making a stop here in town as a part of their current East Coast tour and it’s gonna be a nice warm-up before they hit the Hi-Tone later this weekend. Word on the street is that our friends over at Total BS Records will have some special colored vinyl editions of their Bad Sports’ Red Overlay 7″ – so come out and pick that up while you’re at it. This is also the first time we’ve seen Slammers on a bill in a good while – since early May with Sonny Vincent if we’re not mistaken. Anyway – get your Wednesday night party on over at The End tonight!